An examination of the effect of the Barack Obama administration on the discipline, especially economic and financial management and budgetary policy, allowing students to apply the theories and concepts in the text to recent US government practice. An exploration of the 2008 economic meltdown and its consequences for the regulation of financial markets, cut-back management, and social equity, providing students with a critical look at the recent changes in the global economy. All-new images, international examples, keynotes, and case studies have been incorporated to reflect the diversity of public servants throughout history. Case studies correspond to those in optional companion book Cases in Public Policy and Administration to offer clear discussion points and seamless learning with the two books side by side. New sections on careers in public service, whistleblowing and public employee dissent, networks and collaboration across organizations, social innovation, managerialism and productivity improvement, Big Data and cloud computing, collaboration and civic engagement, and evidence-based policy and management. 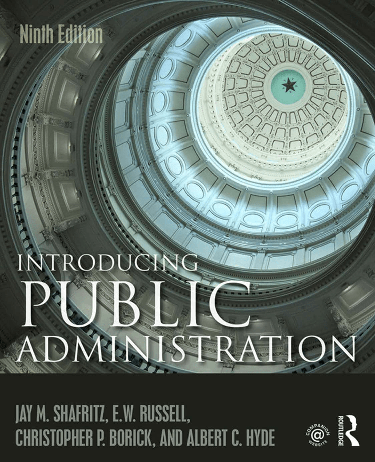 Complete with a companion website containing instructor slides for each chapter, a chapter-by-chapter instructor's manual and sample syllabus, student learning objectives and self-test questions, Introducing Public Administration is the ideal introduction to the discipline for first year masters students, as well as for the growing number of undergraduate public administration courses and programs.